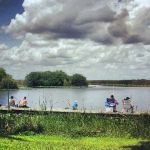 Ask fellow campers about "Everglades Holiday Park Campground" and nearby attractions. 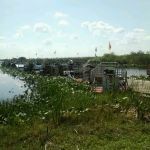 This RV campground sets on the Everglades and has permit residents that live here year round. We had picked this park, because my husband was working close to the area. We could not sleep from the noise at night from the radios till way late at night, cars opening and closing doors and loud trucks running up and down the road in the park. The air boats of course would start out at 6 in the morning so no sleep from that, also the laundry was not working when we arrived and then after we looked at it, I would not wash my clothes in them since they were not clean. The bathhouses were not any better, which we used our camper shower and bathroom. This is not a family friendly RV park to me, I would not let my children wander around park. We talked to several other RV parks and they also gave us a bad review on this park. The only other reason stayed here it is snowbird season and all the parks have filled up for the winter. 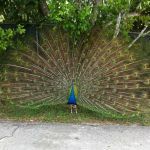 We camped at Everglades Holiday Park Campground in a Travel Trailer. 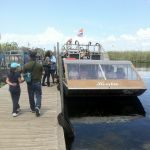 Are you affiliated with Everglades Holiday Park Campground ?